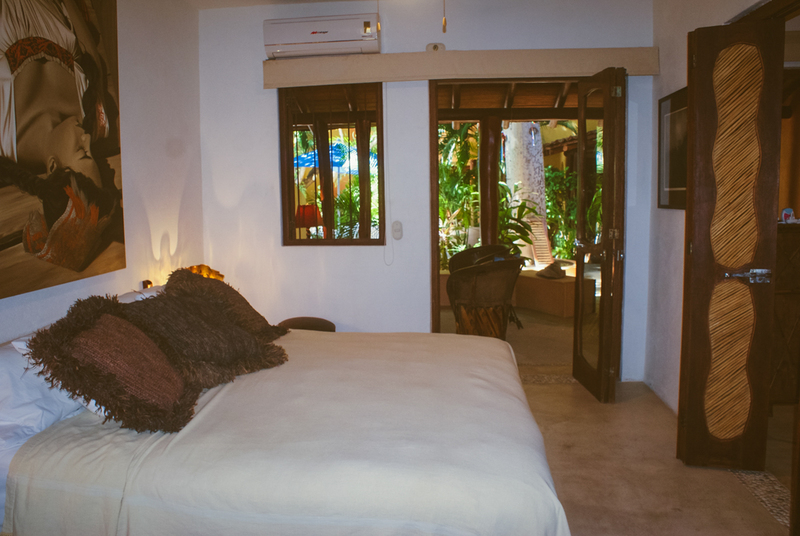 Just two blocks from the beach at Playa Madera, Zihuatanejo, Mexico, this 1,225 square foot, ground floor condominium with two bedrooms and two baths could be your perfect Mexican dream property. 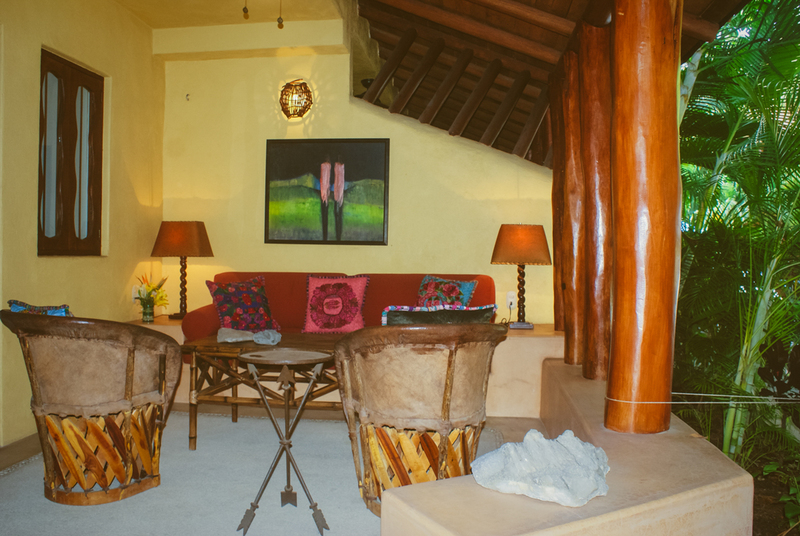 The entry to the condominium is a wide, outdoor living space with two comfortable built-in sofas and a dining table for six under a tiled roof. 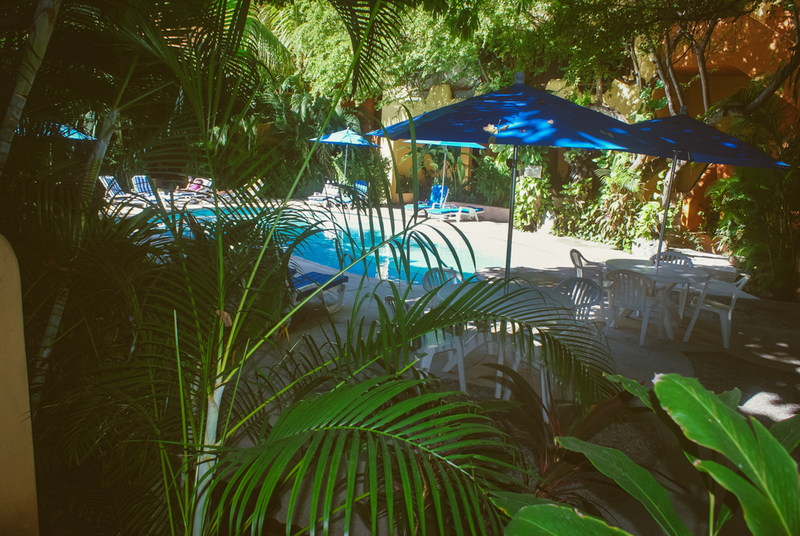 This terrace is separated from the complex and its pool by a lovely, well-tended garden with lush tropical vegetation. Inside, the high-ceilinged kitchen has stainless steel appliances with lots of lower cabinet storage and open shelving over the concrete counter top. It includes a water purification system. A stylish polished concrete bar separates the kitchen from a comfortable living area with built-in corner sofa. 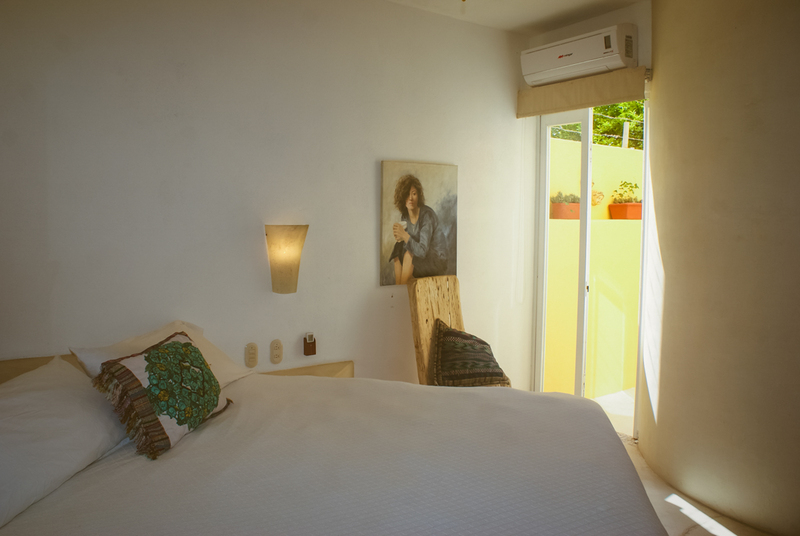 The main bedroom is spacious with king sized bed, closet, private bathroom, television, and doors leading onto the main terrace. 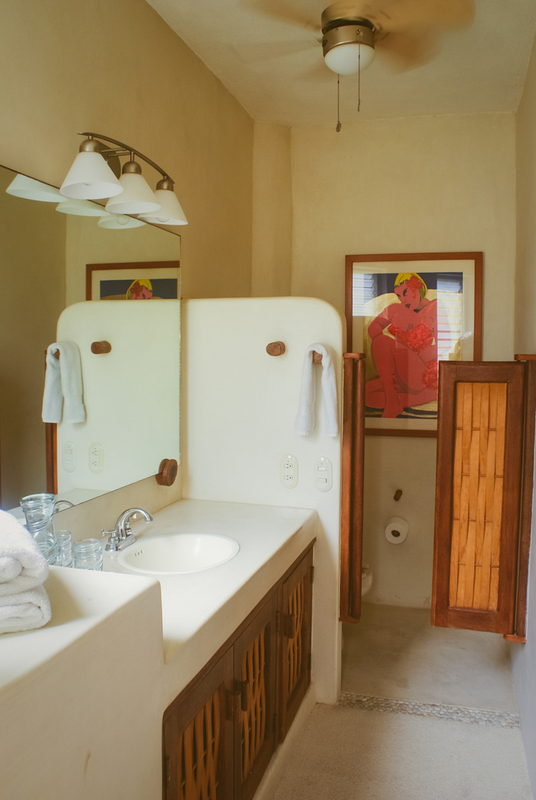 The second bedroom also has a full bath, king bed, closet, television, and built-in desk. It accesses a small interior patio with a stainless steel, hot and cold sink. This condominium is fully air conditioned. It also has eight ceiling fans for maximum cooling. One deeded, secure parking space is included. 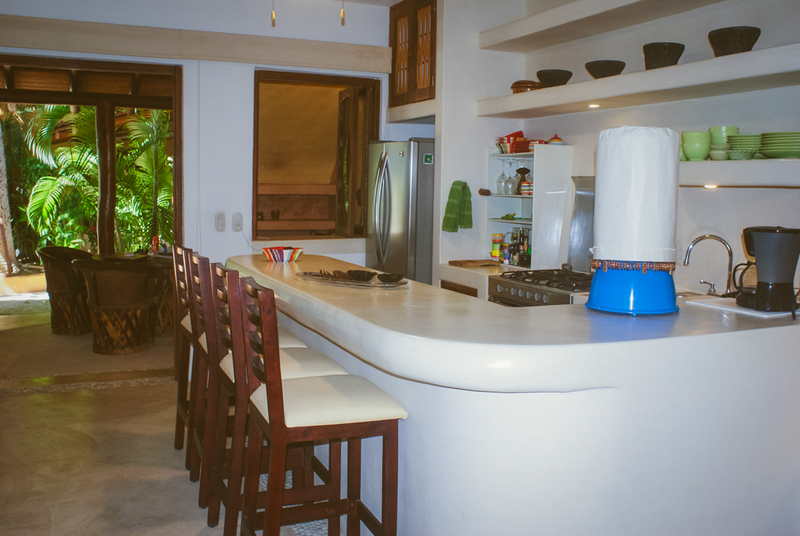 The condominium is sold fully furnished and equipped. 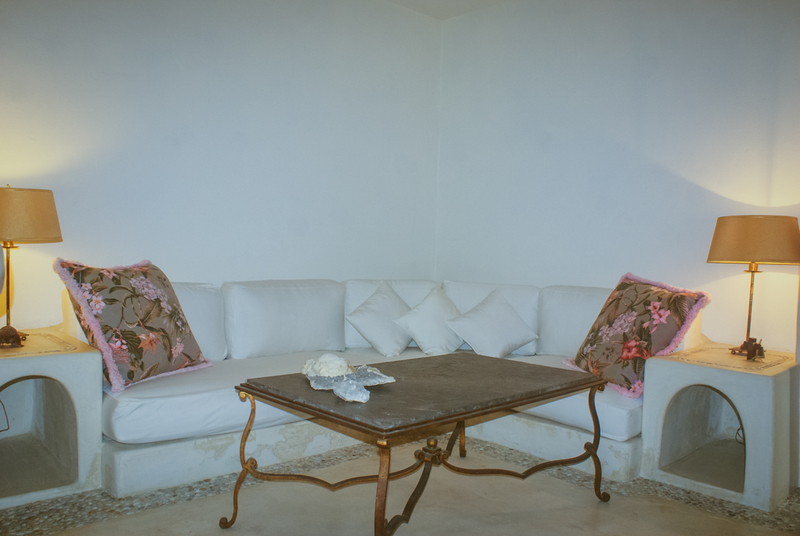 Casa Ceiba is a gated complex with on-site administration in the La Madera neighborhood of Zihuatanejo, Mexico. 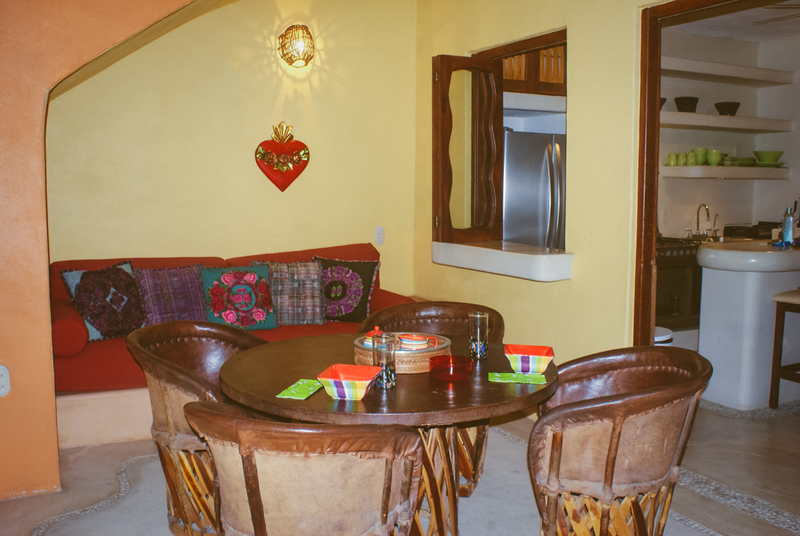 The complex has a common pool and poolside lounging area and is just two blocks from La Madera beach and an easy walk to the restaurants along Calle Adelita, the downtown core of Zihuatanejo, and shopping.